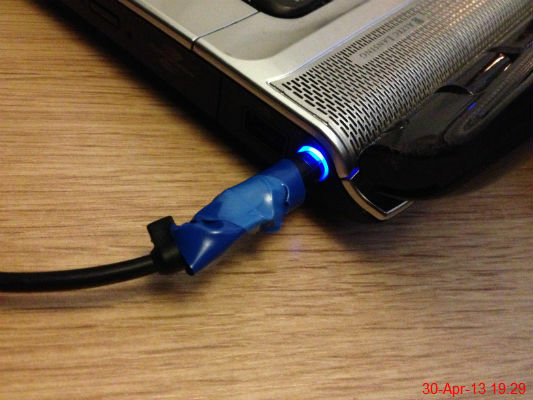 Sparks were flying off my laptop charger the other day so I've taped it up and it's just about working, for now. I think I'll need to invest in either a new charger or a new laptop soon. 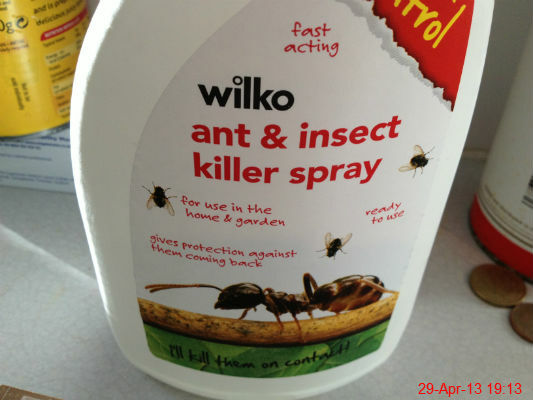 We spotted a few ants around the back door and in the kitchen, so bought this spray to kill them. Obviously the sight of the bottle was enough to keep them at bay because I haven't seen a single ant since. 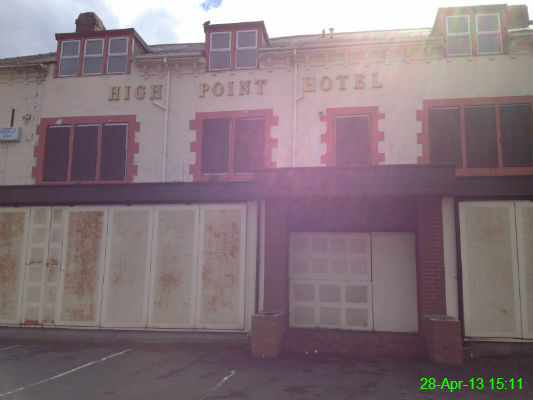 I find this building in Whitley Bay rather inappropriately named. Put it this way. 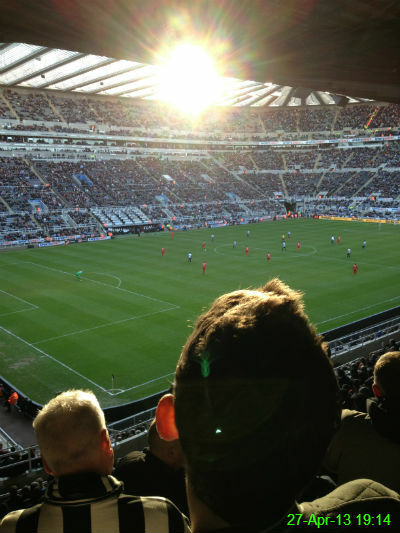 I wished the sun was in my eyes for the whole match and not just a small period towards the end. 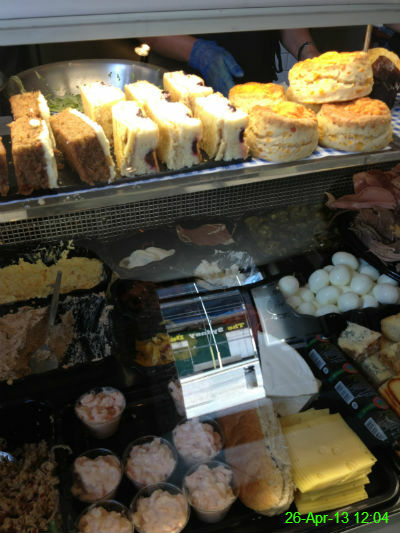 I went to Baps at lunchtime to buy one of their amazing salad boxes. 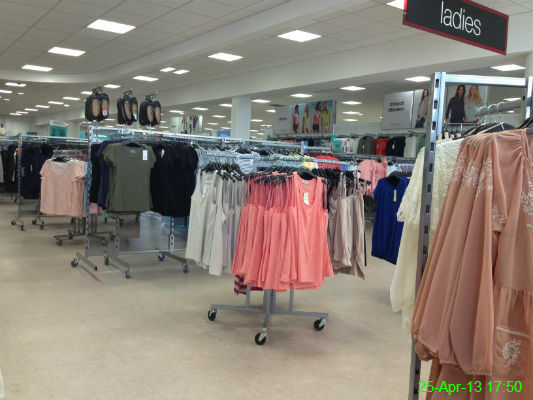 I went to Matalan and was immediately infuriated by hearing a woman call it "Mataland". 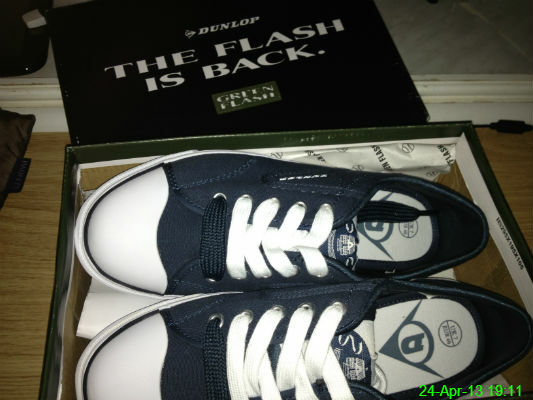 I had a pair of Dunlop Green Flash trainers years ago and they were really comfortable. Unfortunately I can't remember what happened to them, but I suspect they may have been put to rest after drowning in mud at a festival. I wanted some new trainers though so I decided to go retro and get a similar pair. Now I just need to decide which set of laces to go with - I'm fairly certain white is the best option but lacing trainers causes me a LOT of stress so I'm putting it off for now! 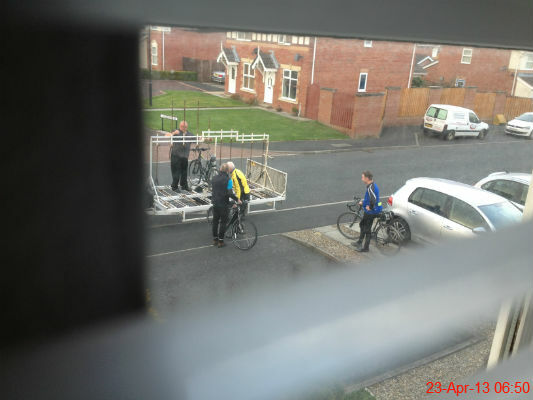 My next door neighbour is a nice bloke, but I wasn't too impressed at the level of noise made by him and his friends as they loaded their bikes onto this trailer thing early this morning. So naturally I gained my revenge by taking a slightly voyeuristic photo through the blinds. Mam treated me and Ali to a lovely meal at Amici. 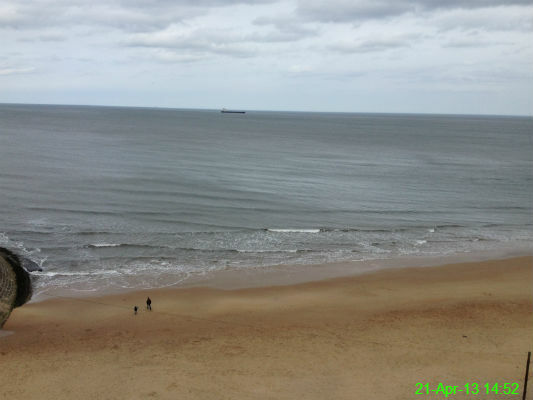 I went with Michael and Alison for a walk along the coast from Tynemouth to Whitley Bay. 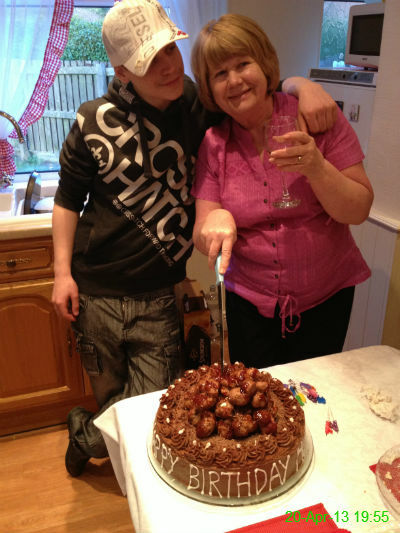 We went round to Kathy's to celebrate her birthday, which is in a few days. It was a really good night with lots of food, drink and excellent company. 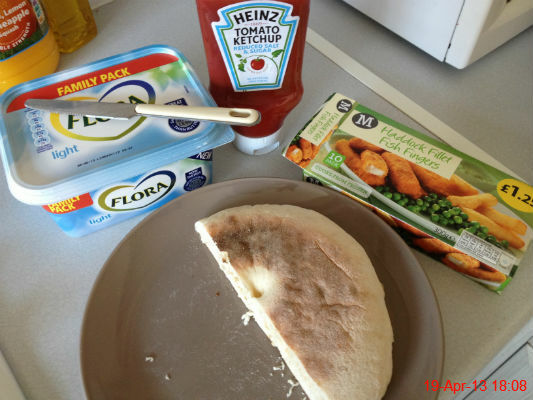 I had a truly fantastic tea tonight: fish finger sandwiches. I picked up a stottie from Greggs on the way home and it proved to be a masterstroke as it made an excellent base for the sandwiches. It made me feel slightly better about staying in on (payday) Friday and doing housework. The bus got me into town quite early this morning so I had a browse through Poundland. 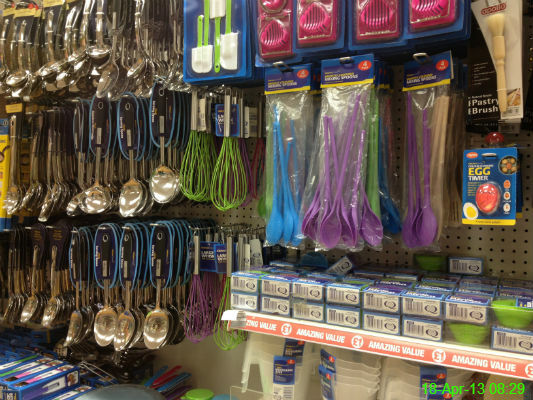 I thought I might buy some of this random kitchen equipment, but the day before payday is never a good time to shop - even in Poundland. 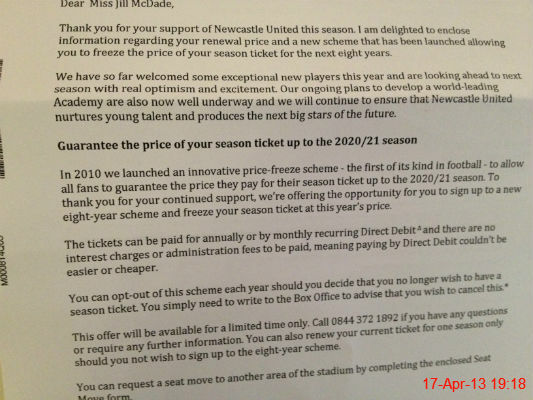 Just when I couldn't be more frustrated and annoyed at football, and Newcastle United in particular.. my season ticket renewal letter has arrived. 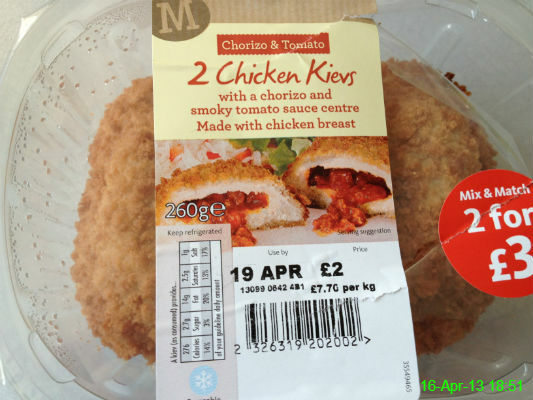 I hadn't seen these before so picked them up the other day to have for tea tonight (and tomorrow). 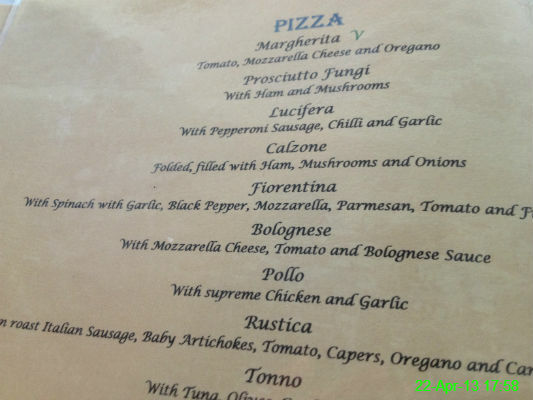 Having noticed the mention of it being �70 per kg, I am now desperate to see a kilogram of chicken kiev. And, of course, try to eat it. After yesterday's humiliating 3-0 defeat, Newcastle fans are in the media for the wrong reasons after rioting and causing trouble in the city centre. 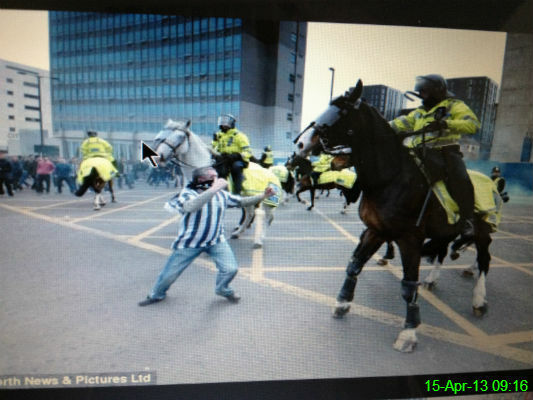 This particularly idiotic man decided to punch a police horse. He was promptly arrested, but quite frankly it's embarrassing to be associated with such behaviour. Newcastle were playing Sunderland at home in a 12pm kick off, which seemed a perfectly acceptable reason to be drinking cider in the Three Bulls Heads at this time on a Sunday morning. 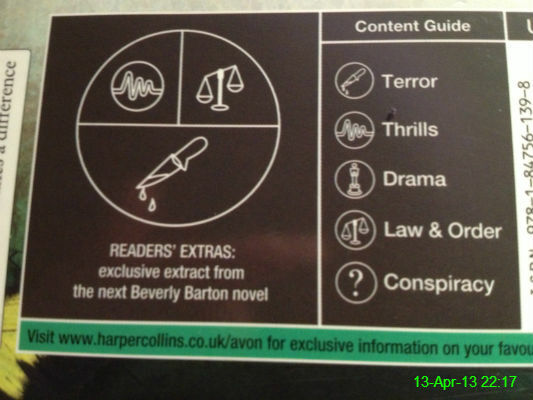 I haven't read much of this book (If Looks Could Kill by Beverly Barton) yet, but this seems like something I will enjoy. 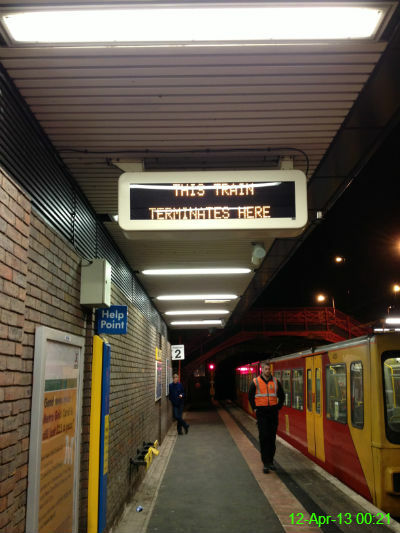 We got the metro home but had to change trains at South Gosforth as the first one we got on was terminating there. 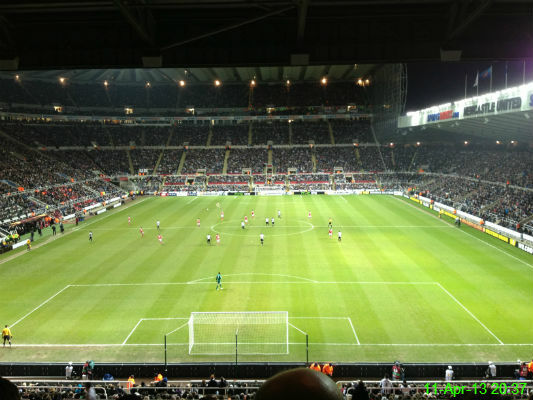 It was a valiant effort, but Newcastle just couldn't quite do enough to progress to the semi finals of the Europa League. It's been a fantastic journey this season and although it'll be a while before we're back in the competition I can't help looking forward to it. 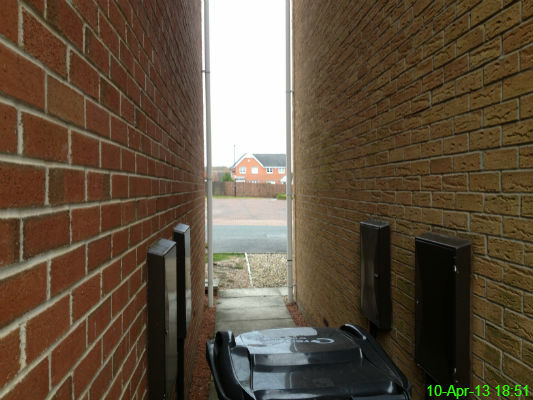 Both of our bins were emptied today so I pulled them back into the garden when I got home after work. 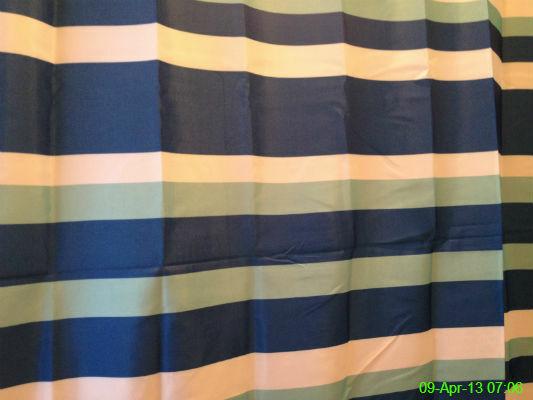 I bought a colourful new shower curtain to replace the previous one, which was looking a bit shabby. Tea on Monday should never involve any major effort. 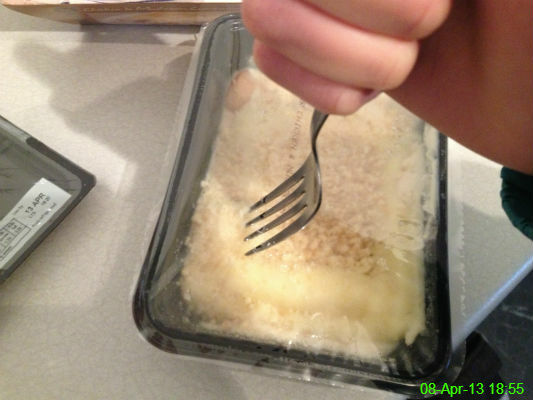 Today I had a chicken and mushroom Cumberland pie with some vegetables and the most strenuous part was stabbing some holes in the plastic film. 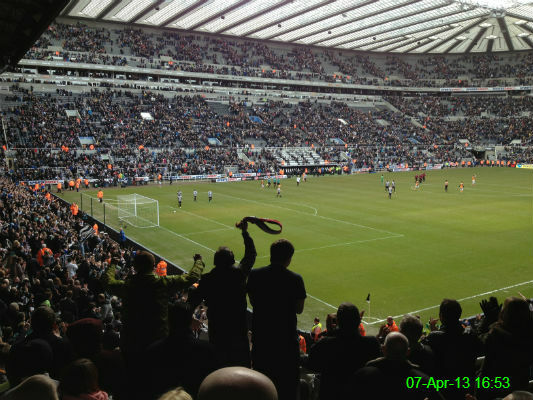 Papiss Cisse scored yet another last minute winner to clinch 3 vital points. The celebrations after the final whistle were suitably wild! 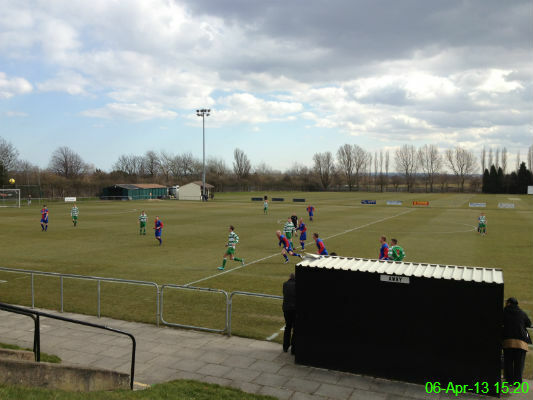 We had a walk along to Whitley Park to watch West Allotment Celtic lose 3-1 against Tow Law Town. 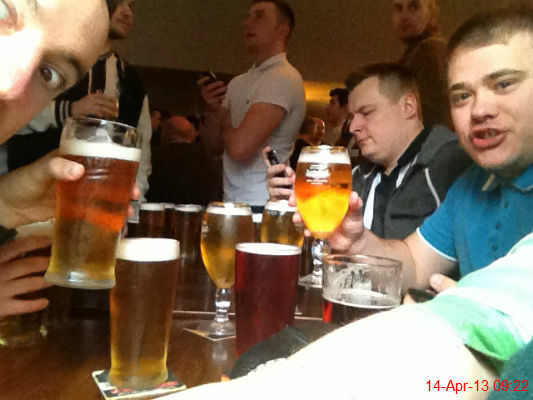 We also managed to watch the Grand National in the bar there. I didn't win the sweepstake but my each way bet on Teaforthree, who finished third, returned a huge �50. 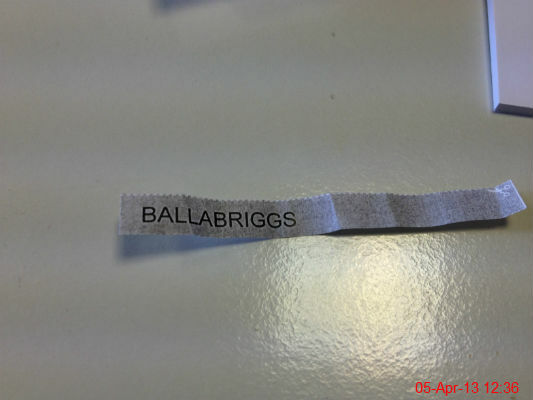 The Grand National is tomorrow and I got Ballabriggs in the sweepstake at work. 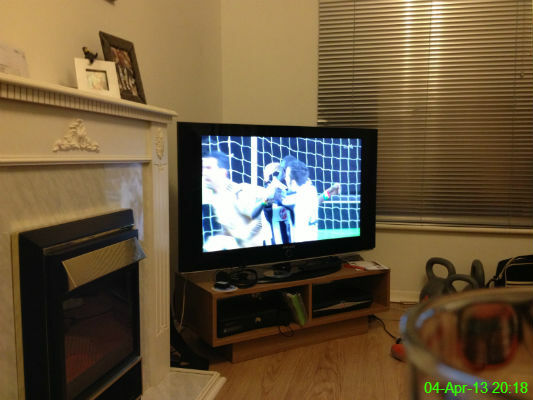 Away matches in the Europa League usually involve a trip to the pub, but today we stayed home to watch it. Newcastle lost 3-1 to Benfica, so unless we pull something special out of the bag in the home leg next week this could be the last run in Europe for a while. 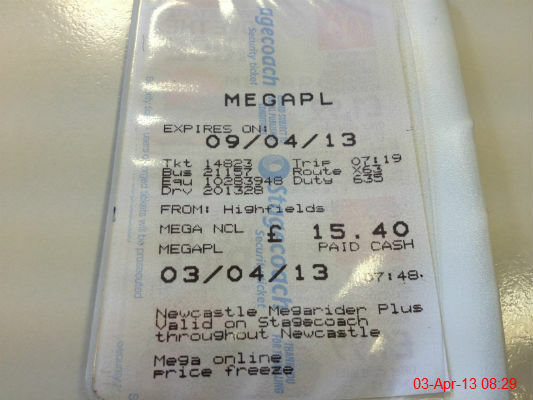 The cost of my weekly bus ticket has increased by 40p. I can afford it, but � was such a lovely round number and now I'm going to have to start stockpiling 20 pence pieces. 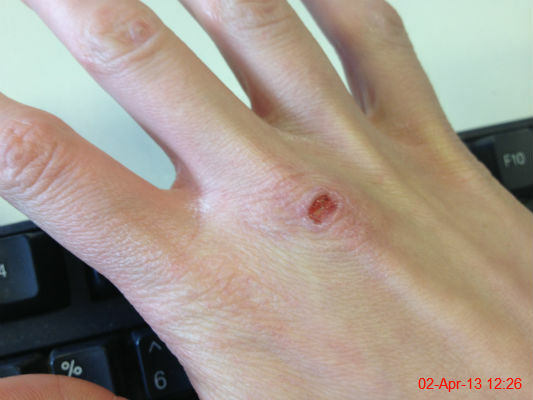 I managed to burn my knuckle on the oven the other day. Annoyingly, it's right next to a scar I already had on my hand from a fall during a game of street hockey years ago. 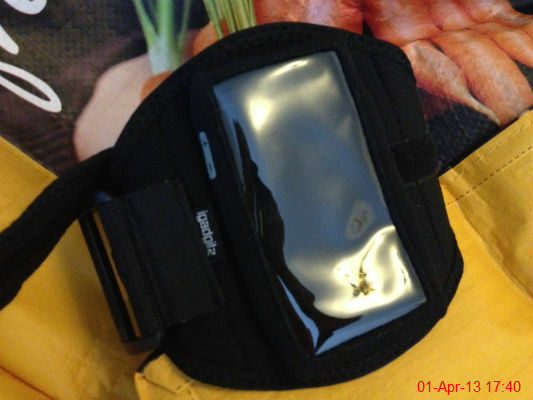 If the weather ever improves at all I hope to get back out running longer distances, so I recently bought this armband to carry my new phone when out on runs.